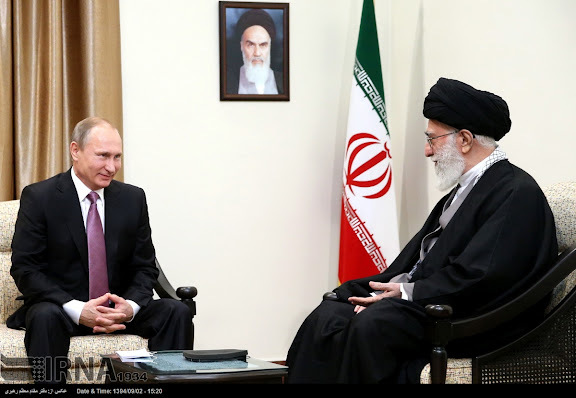 President of Russian Federation Vladimir Putin (L) with Leader of the Islamic Revolution Ayatollah Seyyed Ali Khamenei (R), on 23NOV15 in Tehran. Iran's supreme leader, at a meeting with Russian President Putin in Tehran on Monday, said U.S. policies in the region were a threat to both countries and called for closer ties between Tehran and Moscow. 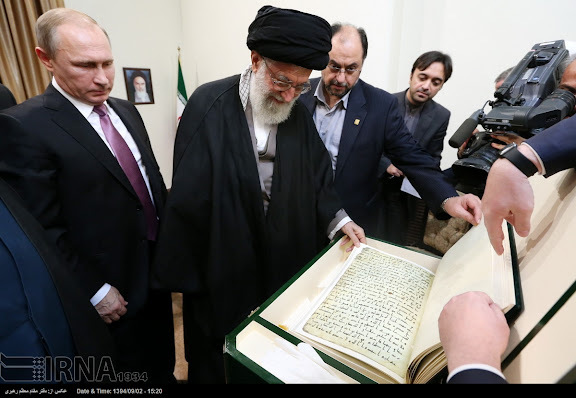 "The Americans have a long-term plot and are trying to dominate Syria and then the whole region...This is a threat to all countries, especially Russia and Iran," Ayatollah Ali Khamenei said at the meeting on the sidelines of the Gas Exporting Countries Forum (GECF) Summit in Tehran, according to the state news agencies. "The United states is trying to achieve its failed military objectives in Syria now through political means," he added, referring to proposed peace talks to end the civil war in Syria. COMMENTARY: Iranian media depictions of meetings between Khamenei and world leaders non-aligned with the U.S.-led security order remain persistently anti-American in tone and substance, even after signage of JCPOA. 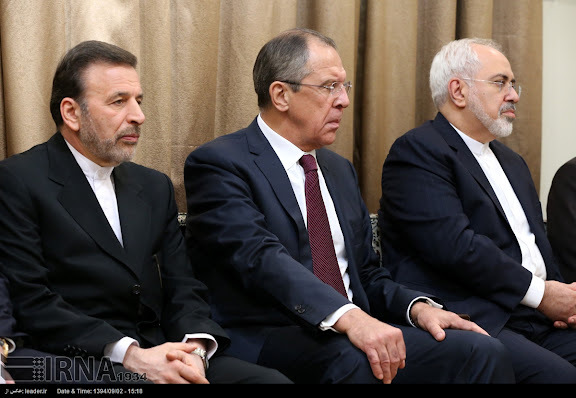 To a certain extent, this latest depiction may be related to Iran's diplomatic reversal with the recent UNGA resolution condemning Iranian-backed intervention participations in the Syrian conflict. Currently Russia Federation and Islamic Republic of Iran are engaged in aligned military interventions with Syrian Arab Republic, in the Syrian conflict. Corrected acronym in title to GECF. Apologies. 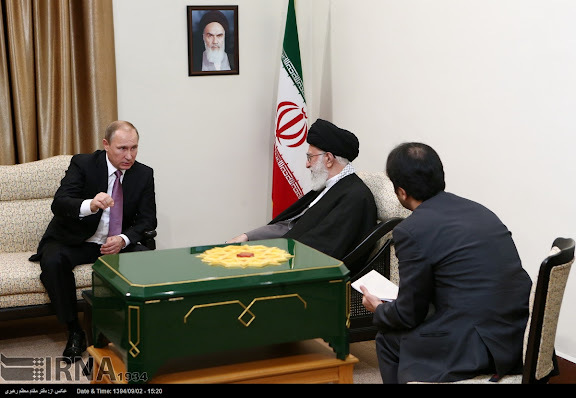 Apparently the supreme leader has found a very receptive audience for his anti-American rants in Mr Putin .Only time will tell if the two are are a match for the geostrategic challenges lying ahead. Despite some serious misgivings about the nature of the governments these two leaders represent , one should wish them luck in future . 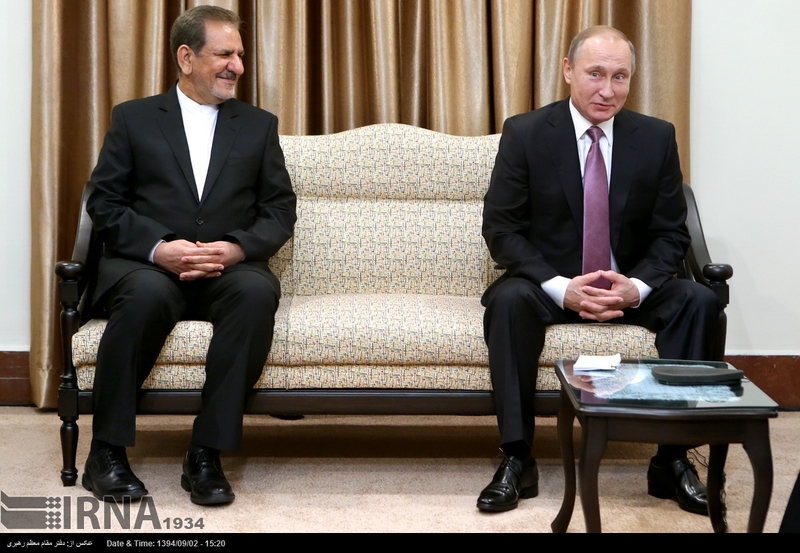 Russia and Iran are eternal neighbors and natural allies. Both face the same enemies and must realize that sincere and strong alliance in all fields in their mutual interests. The combined populations of both nations ins well in excess of 225 million making them a formidable power block. Both have very strong engineering sectors which can benefit from technology and scientific exchanges. Iran's primary focus should be on high-tech and replacing its airforce fleet.